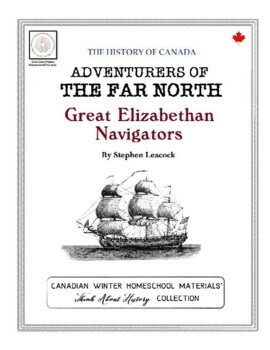 ‘Great Elizabethan Navigators’ is the first chapter of Stephen Leacock's ‘Adventurers of the Far North’, which contains accounts of the historic voyages to the northern regions of what is now Canada. 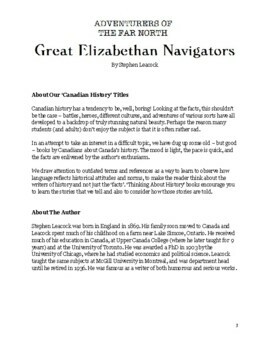 This chapter describes the earliest quests to find a ‘Northwest Passage’ by European explorers such as Frobisher and Davis. Leacock explains the political and business reasons for the men’s journeys, and also gives short but interesting accounts of the voyages themselves, in some cases referring to journals as first-hand sources. These are short histories, but they are thorough. A student will be familiar with major dates, events and personalities after working through each text. 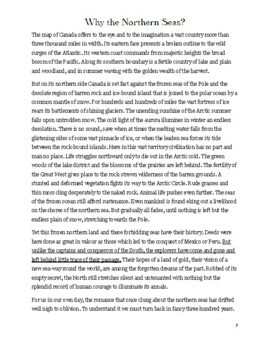 The tone of the writing is neither formal nor chatty, but invites the reader to take an interest in a topic for which the author evidently had a genuine passion.